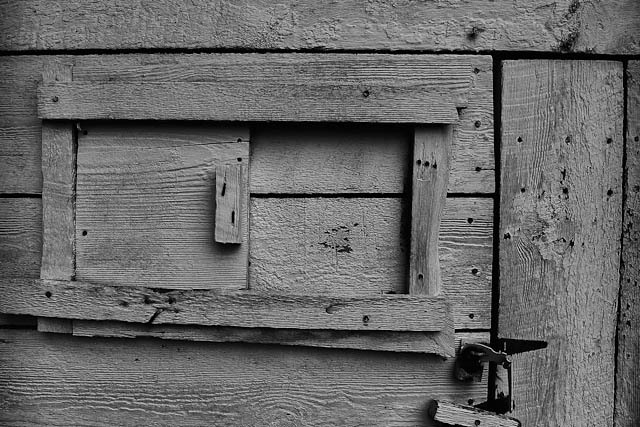 When I saw this small sliding door on an old shed, I wanted to open it to see what’s inside. But, I elected to not do that, basically because the ghastly “spirits” inside might flow out on me and ruin an otherwise nice day. Some things are better off being left alone. Seriously, it made a nice black and white photo, with great details being captured by my Panasonic LX5 camera.